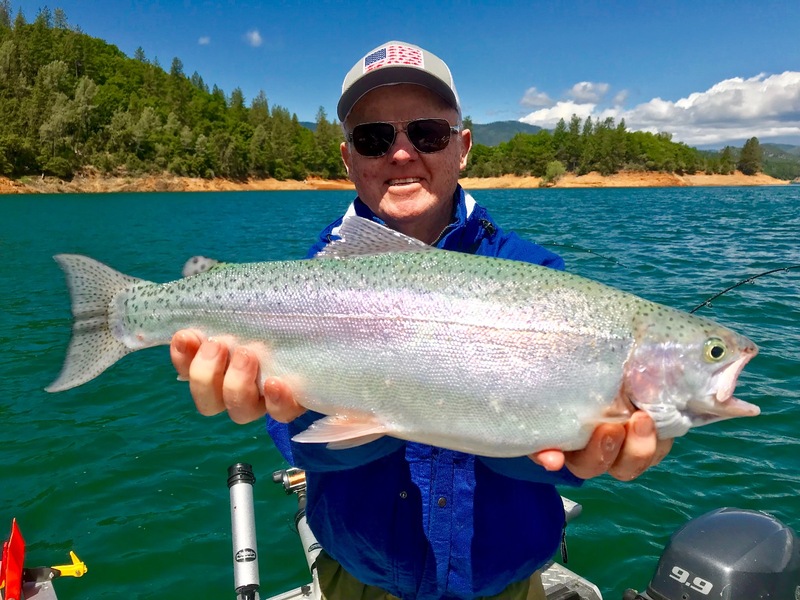 Shasta trout fishing going strong! 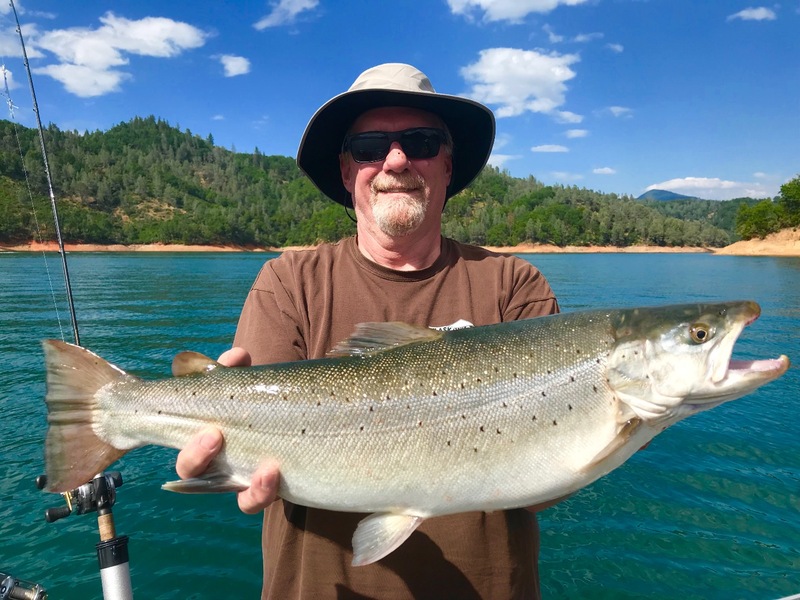 Today was day two with Jim and Mike and we got in some great fishing on Shasta Lake before the winds blew us off the lake. 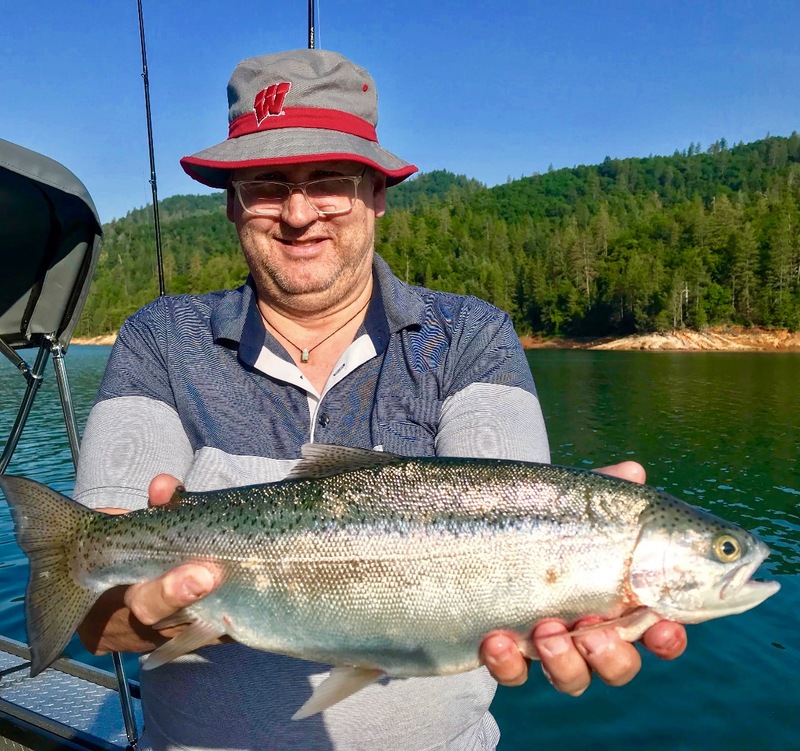 Fast bites in the morning, a few big browns and bows and a "the one that got away" story for Mike! Super fortunate to have such great clients in the boat week after week on such an amazing place to fish! 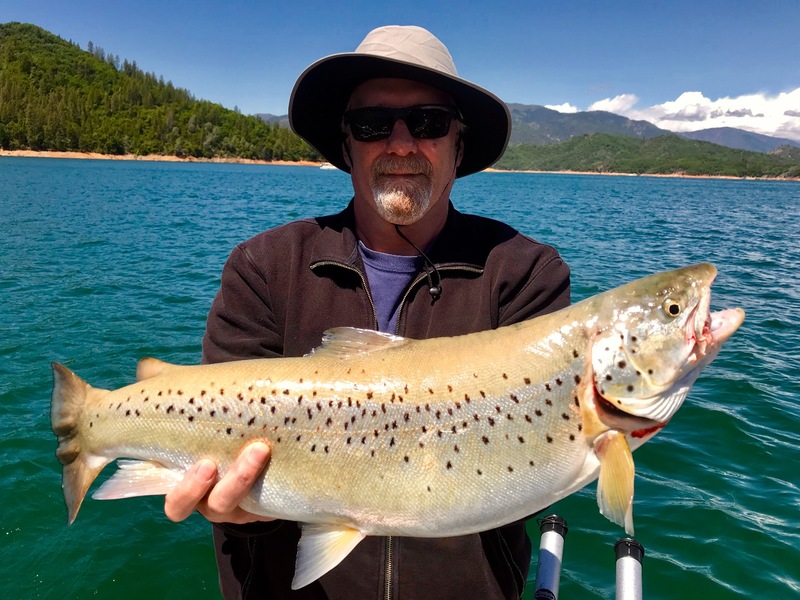 Shasta Lake browns are still in town! 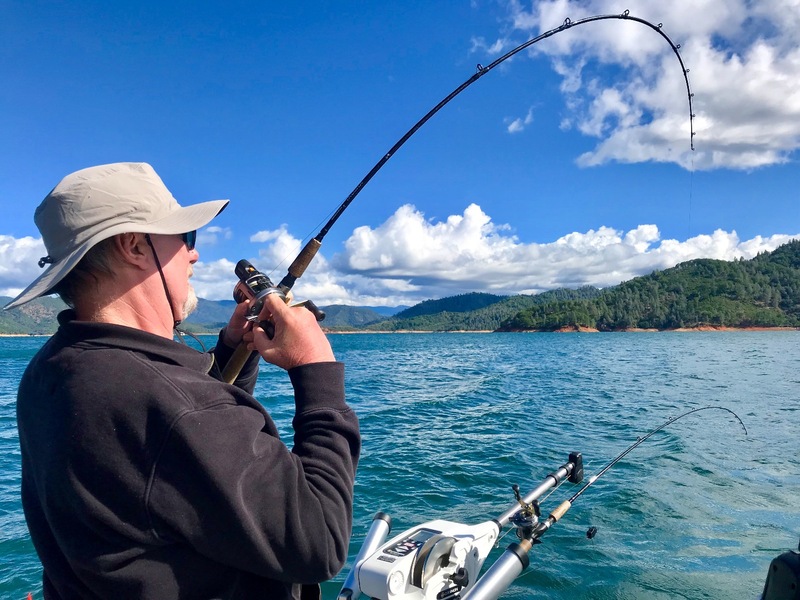 Shasta Lake still fishing at Hirz Bay!